From helping to increase our scientific understanding of genetics to fertility, plant life and the cause and development of diseases, the life sciences are rapidly-advancing fields of study. Life sciences are vital for understanding human health, environmental issues, and broader matters that increase our understanding about life on earth. The medical technology sector is growing rapidly with the largest share in Europe at just over 2,000 companies, the majority of which are small and medium enterprises (SMEs). The UK is a world leader in life sciences. Life sciences is one of the high-tech strategic industries that will play a vital role in building a stronger Britain of the future. It has a vital role in improving healthcare especially with future challenges such as an ageing population and obesity. The pharmaceutical sector generates the largest turnover at just over £32.bn from 545 companies, compared with the medical technology sector that has a turnover of £18.1bn from over 3,000 companies. Medical biotechnology and industrial biotechnology are significant sectors each generating a turnover of £4.8bn and £0.9bn respectively. Overall, a strong background in chemistry, physics and mathematics is important to explore a career in life sciences. For jobs in the pharmaceutical and biotechnology industries prior work experience is also very useful. Not only will it help in skills development, but also in heightening commercial and industrial awareness. Commercial employers are keen to employ people who understand the business and have a commercial awareness. The UK is a global leader on the world stage in life sciences. Companies and world leading Universities within the UK are driving research to create new technologies. Whilst there are many opportunities to work in the industry across the UK, 48% of all the life sciences employment is located in the South East region. LGC provides a full range of flexible, accurate, and cost-effective genomic solutions for Genotyping, DNA sequencing, DNA extraction kits & services. Illumina is dedicated to advancing human health by unlocking the power of the genome. GE Healthcare Lifesciences offer solutions to support your work from biological research to clinical therapy, including tools for research, drug discovery, diagnostics, and bioprocessing. Situated on the Wellcome Trust Genome Campus in Hinxton, Cambridgeshire, the Wellcome Trust Sanger Institute is one of the world's leading centres of genome sequencing and analysis. The MRC works to improve the health of people in the UK - and around the world - by supporting excellent science, and training the very best scientists. UK research center working in food safety, diet and health, and food materials and ingredients. 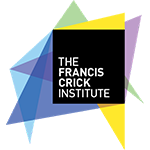 The Francis Crick Institute is a biomedical discovery institute dedicated to understanding the scientific mechanisms of living things. It’s a consortium of six of the UK's most successful scientific and academic organisations - the Medical Research Council (MRC), Cancer Research UK (CRUK), the Wellcome Trust, UCL (University College London), Imperial College London and King's College London. The skills involved are mostly higher level skills. For example, in the pharmaceuticals Industry, 61% are employed as senior managers, scientists and chemical engineers. With the industry in a state of transition, medics retiring, legislative change in pharmacovigilance (PV) coming into effect and changes to the Association of the British Pharmaceutical Industry (ABPI) code of practice, certain highly specialised skills are now highly in demand. The Lack of junior level recruitment during the recession years has also led to a shortage of skilled candidates at the Manager, Senior Manager and Senior Associate levels in some areas. These represent excellent opportunities for appropriate candidates, including those bringing non-UK experience. A growing area of recruitment is biometrics, where demand for statisticians, SAS programmers and data managers has risen in recent months due to increasing in outsourcing of clinical trials to clinical research organisations. In response to growing skill shortages in this area companies are increasingly recruiting from other EU countries. Contract Research organisations are heavily recruiting to manage the demand in workload of trials outsourced from pharmaceutical companies, and candidates with project management, biometric and programming skills are in high demand. In the commercial sector, those with experience in negotiation, bids and proposals are being hotly pursued and, in drug safety, the new legislation is bringing specialists in-house, increasingly as permanent hires. There is also a shift to achieving a greater gender balance within the profession, such as supporting women to reach leadership positions through mentoring schemes and implementing flexible recruitment and working options to help retain women in the workforce.